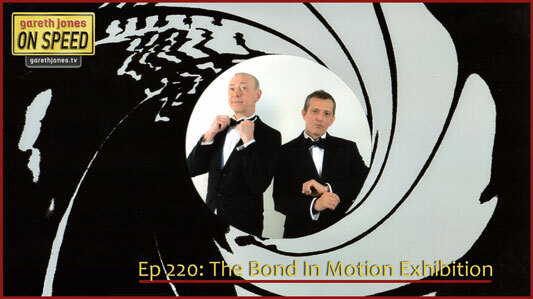 #220 Bond In Motion Exhibition. Gareth and Zog tour the largest collection ever of vehicles that have appeared in James Bond films. We study the cars, aircraft and water craft that star alongside 007 and ask: could they really do that? Your espionage is excellent, your aerodynamics poor. Those documents left in the Xerox machine; you had to blame your wife. Checked into a hotel in Monte Carlo… in room 007. He will out qualify you, don’t deny he’ll stab you in the back. His word is not his Bond, he'll take the win and then he’s gone. My front wing and my brakes. But when they left the track at night, the work was dark, surveillance unseen. Benoist, Williams and Wimille, all worked for the SOE. The Spy Who Lapped me.